Young professionals and college students often wonder if attending a top business school will set them up for an ever-growing career graph. Undeniably, an MBA degree is one of the road maps to C-suite jobs at large Multi-National Corporations, and also a stepping stone for budding entrepreneurs. But while many eminent industry leaders hold an MBA, the degree isn’t a permit to fortune. Outdoing in business requires creativity, dedication, initiative, and immense efforts. And of course, a great B-school is cherry on the icing! Developing leaders and forming potential entrepreneurs is what business schools aim to contribute to the society. This is undertaken by exposing students too all the areas of business including finance, marketing, accounting, and human resource. How will an MBA benefit your career? Agree or not, a lot of students compare success with their pay packages. However, an MBA is meant to shape you with new skills and open up better avenues for the future. Furthermore, people whose professions unfold with time in different organizations often enroll into business schools for facilitating transitions and widening their opportunities. 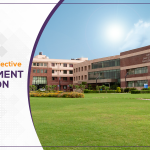 Jaipuria Institute of Management’s (Lucknow | Noida | Indore | Jaipur) PGDM curriculum is designed to provide organizations with candidates of the desired managerial skills needed to run them. The Institute aims to help students build the skills needed to excel as professionals, such as the ability to develop smart solutions, analyzing large amounts of data, inspiring and motivating other team members, and commanding respect, a skill that is necessary for individuals who wish to manage ambitious projects that involve teamwork. Besides, the career management team at the Institute liaises with the students to sign them up for personality development workshops, seminars, guest lectures, and networking as a whole. Are students prepared to work effectively on a global scale? What employers expect from MBA graduate – and what they don’t? Every third employer struggles to find business school graduates with the right set of skills. Few of the most important skills that they’re often on a look out for are surprisingly not core MBA subjects, like Marketing or Finance, but more roughly defined qualities, or commonly termed as “soft-skills,” such as the ability to collaboratively work with a team, and having the understanding of prioritizing tasks at workplace. 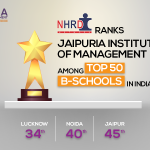 While B-schools largely emphasize on the importance of core curriculum and specializations, Jaipuria Institute’s PGDM program is designed to nurture the soft skills needed by top-ranking companies – leadership, global awareness, and empathy – along with the nuts and bolts of business. 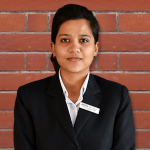 How is Jaipuria Institute of Management preparing Students for the Global Workforce? Jaipuria Institute of Management Institute – Lucknow | Noida | Indore | Jaipur offers an opportunity to participate in International Summer Internship Programs established in association with top industry players such as KPMG, IBM, and Bombay Stock Exchange to name a few. Former students who had a chance to work in Singapore and Dubai markets reported that they discovered new perspectives about themselves by working in the socially mix environment. 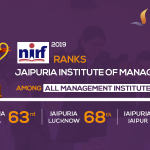 Jaipuria Institute of Management is focused on providing such opportunities to enable students navigate the professional world, communicate efficiently through diverse cultures, and leverage talents. Besides, through education, seminars, workshops, online resources, and mentoring, students are trained to develop a global mindset. Is it worth it: Takeaway! While it is true that the markets are changing beyond recognition, but pursuing MBA from the right B-school will give you an opportunity to experiment with your outlook, and develop interpersonal, management, and problem-solving skills – all ageless abilities. 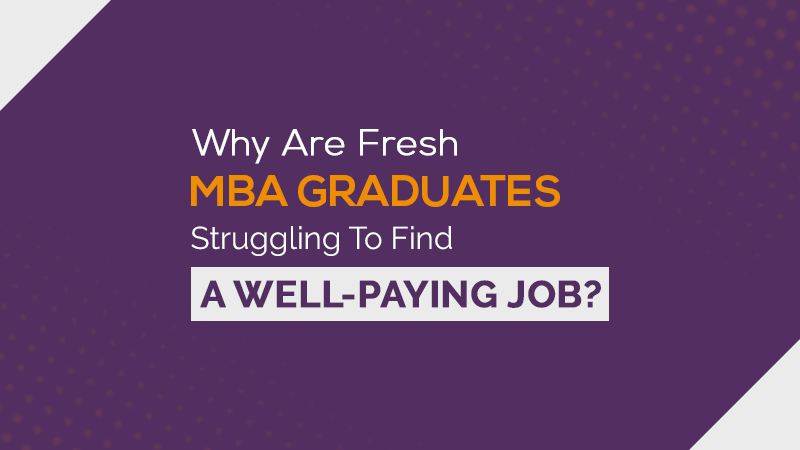 An MBA doesn’t guarantee success, nothing can – but in the right Institute, under right guidance, and with the right attitude, the same degree may play a crucial role in providing the enhancements in life you’re searching for.